One of the biggest signs it’s time to replace porch railings or deck railings is visible damage. If you see these types of visible damage on your porch gates, railings, or posts, it’s likely time to replace them. Broken or missing posts or railings are highly visible damage while small cracks or splinters can sometimes be less obvious. If you have wood railings and you see cracking or splintering, it’s time to consider replacing your railings. Cracking or splintering is a sure sign that something is wrong. Other signs include rotting, peeling, warping, and more. 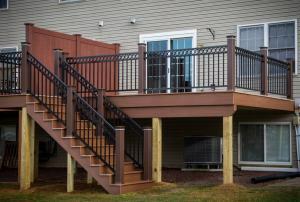 Most railings are secured with metal connections like plates, screws, and nails. Corrosion in these areas might not be as easily noticed unless you’re regularly checking them. Rust is a sure sign of corrosion. If you notice a white, powder-like substance on these connections, it can also be a sign of corrosion. Either of these could indicate that your porch railing connections are compromised and could mean it’s time to replace the porch railings. Damage from pests is generally a concern for decks, porches, and railings made of wood. As a general rule, if you see one pest, there are probably a lot more. So, keep an eye out for common pests like termites, carpenter ants, and bark beetles. If you see any, call an exterminator. Then, consider replacing your wood deck, porch, and railings with a vinyl deck and vinyl railings. You won’t have to worry about damage from pests again. Railings are meant to provide a secure perimeter around your porch or deck or stairs. If they are broken or are loose, they’re not fulfilling their purpose and could be an accident waiting to happen. Next time you’re out on your porch or deck, check your railings and posts to ensure they are securely in place. If they are loose or wobbly, it’s time to have a professional look over them for repair or have them replaced. If you feel like you are constantly fixing your railings or re-painting them, it may be time to consider replacing them with a different material. Wooden decks and railings have a classic look, but also require a lot of maintenance to keep them safe and looking good. On the other hand, vinyl decks and railings are virtually maintenance-free as they are impervious to weather and pests. Plus, they do not require painting or sealing and are completely customizable. Vinyl railings are durable and virtually maintenance-free, so they are a popular choice when it comes time to replace railings, posts, and gates. 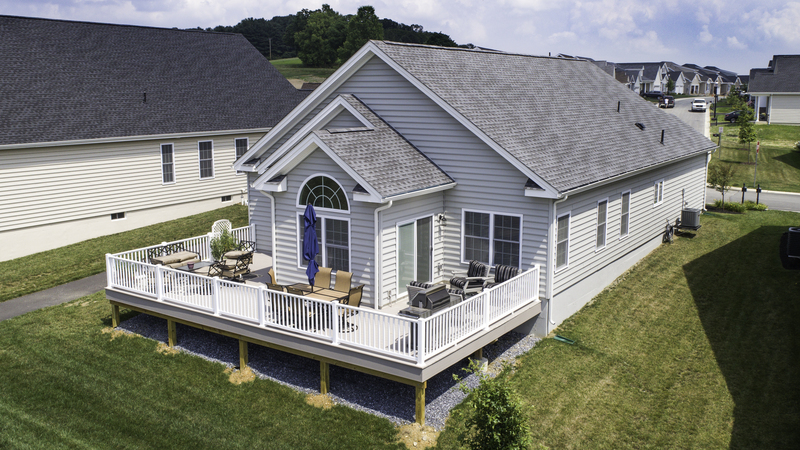 Call Zephyr Thomas at 717-399-4708 for help with your deck and porch railings!